A refined assortment of classic and modern vest styles suitable for any Food & Beverage outlet. Available in male and female silhouettes, and fully customizable with color, fabric, linings, trim and more. 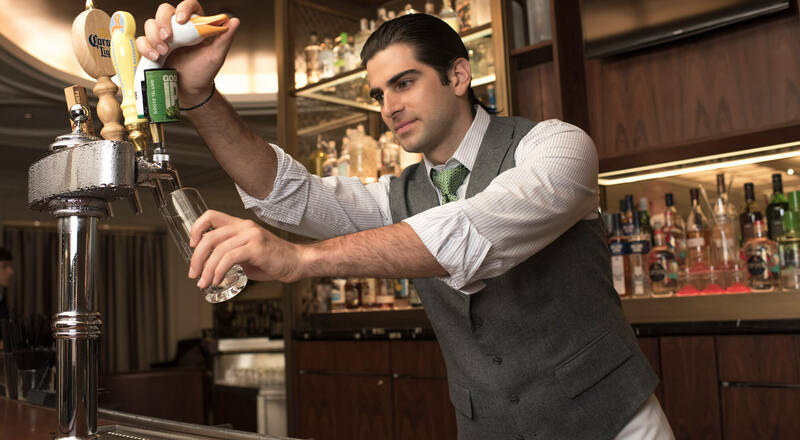 Create a signature look for your bartenders, servers and banquet staff by adding a custom restaurant vest to compliment the personality of your property. All of our restaurant uniforms is custom made to order and manufactured in New York. You select your base styles, and then customize your garments by choosing your own color, fabric, trim, embroidery and more- the options are endless. We have very small minimums of 12 pieces per style, we make every size, and we never discontinue your patterns. You are by no means limited to what you see online- we offer full-scale design services, or we can simply be your contractor, working alongside your team. Samples and fabric swatches are available upon request. For customization, pricing, lead time and more, please contact customer service to be connected with a stylist.